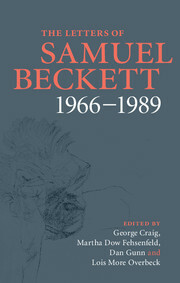 "A model edition … an invaluable asset not only to Beckettian scholarship but also to readers with a keen interest in the author's work …"
"In the third volume of this landmark project, the editors offer an expertly assembled selection of Beckett's letters written between 1957 and 1965." "Superb … as with earlier volumes the editorial work on display here is of a very high order." "Readers get an extraordinary insight into the mind of arguably this country's best playwright." "The third volume is as impeccably and as lovingly edited as its predecessors … As always, George Craig’s translation of the letters in French is clear, elegant and always inventive - particularly felicitous, for instance, is his rendering of the French slang term mézigue as 'My Nibs'. Beckett would have loved it." "The volume like its earlier companions is a work of meticulous scholarship and has to be counted a major achievement by Cambridge University Press." "Among all the tawdry showbiz memoirs now crowding the shops, here is greatness, words to take to heart, the book of the year." "A beautifully wrought publication and thanks to its four editors it has an artistry all of its own." 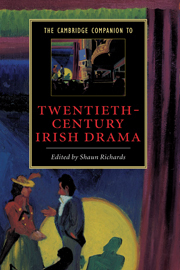 "… magnificent and accessible, this collection will be cherished by scholars, but lovers of theater will appreciate it, too." 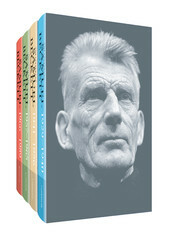 "The first two volumes have been critically acclaimed, and this one is a breathtaking feat, providing new insight into Beckett's personal life and working process." "Wonderfully unbuttoned and, in places, intimate and endearing." 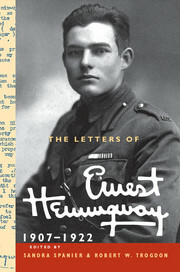 "The most significant literary correspondence of its time." "The best letter anthology this year and by quite a margin … This is not only thanks to Beckett's mesmerising writing and wonderful turn of phrase but also because the book has been meticulously and perfectly edited." 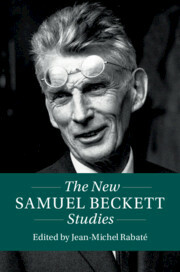 "Beckett’s Letters are a joy to read." 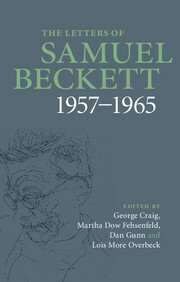 "George Craig's essay on translating Beckett and his translation of the letters Beckett wrote in French are a wonder of tact and ingenuity. In addition, Dan Gunn provides a thoughtful overview. 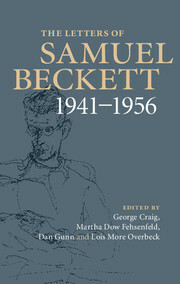 … I am sure that what is to come will be as good as what we have here, for it is now clear that Beckett is never going to dry up and, indeed, that he is that rare sort of writer who grows younger as he ages." 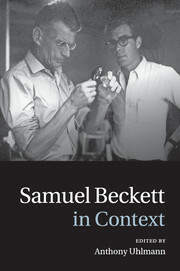 "The Letters of Samuel Beckett series is a superb achievement of scholarship and publishing, wonderfully presented and richly annotated." 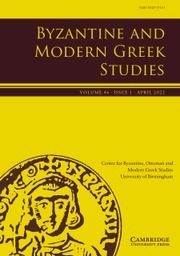 George Craig, Editor and French Translator, is an Honorary Research Fellow at the University of Sussex. 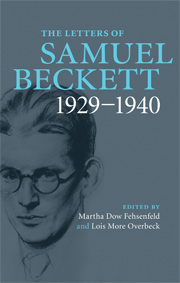 Martha Dow Fehsenfeld, Founding Editor, was authorized by Samuel Beckett to edit his correspondence in 1985. Dan Gunn, Editor, is Professor of Comparative Literature and English at The American University of Paris. 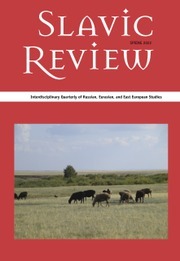 Lois More Overbeck, General Editor, is a Research Associate of the Laney Graduate School, Emory University.